Constructed of durable Flight Nylon, a material originally used in flight jackets for weather- and stretch-resistance, this tightly woven fabric is regarded for its high-tensile strength, luxuriously soft feel and stunning visual aesthetic. 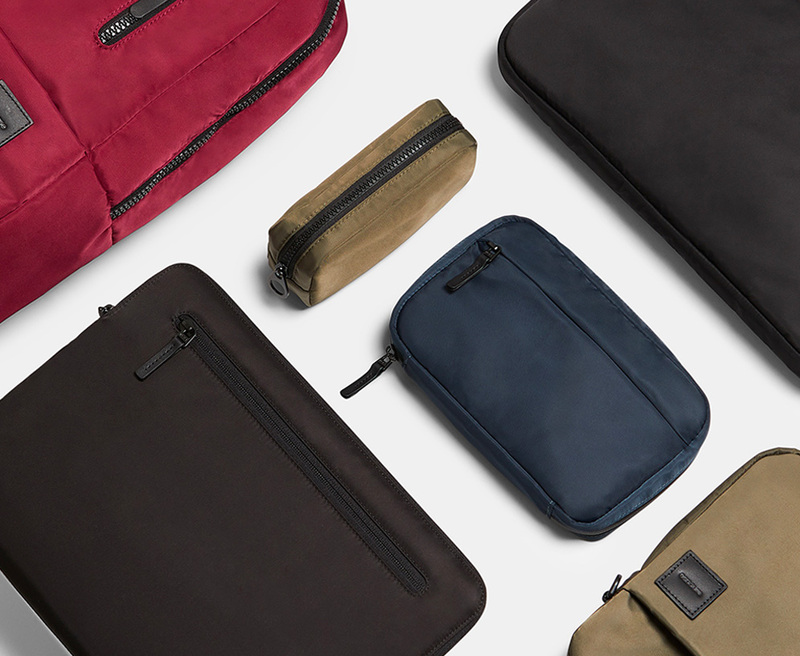 For this new Incase collection, they used it to create lightweight, bombproof Laptop sleeves & briefcases plus a backpack and a tote. 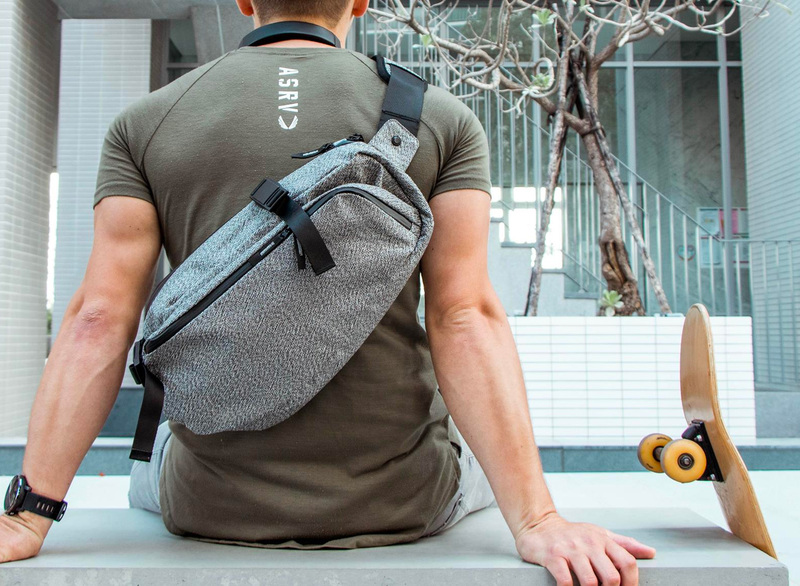 Cycop’s DaySling 2.0 gives you the simplicity & convenience of a sling bag but steps up tactical performance with waterproofing and cut-proof fabrication. 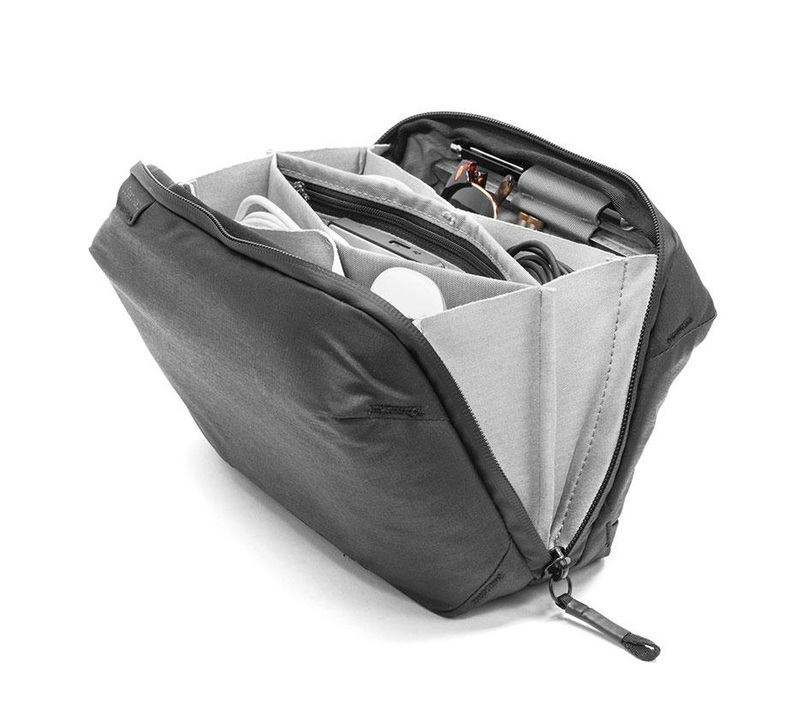 The bag can also expand from 6 – 13 liters & features an arsenal of zippered pockets and internal organizers. A funded Kickstarter. 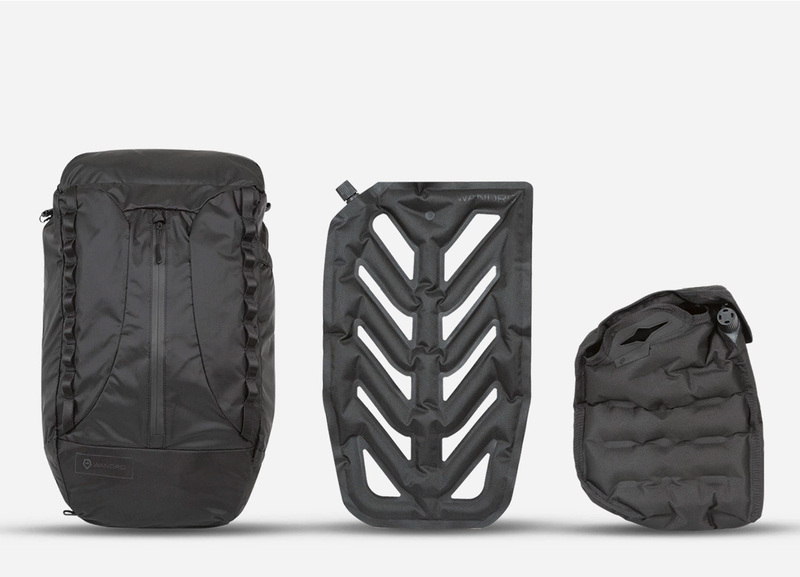 The California-designed WPRT backpacks from Black Ember are stealth yet highly tactical & functional for everyday life. All black. Made of a 800-denier, 3-layer waterproof proprietary performance textile, Micro-Hex. Fidlock hardware. Tech features galore. They’re available in Minimalist & expandable Modular 30-liter designs. Arc’Teryx is a brand that has built its name on creating technically advanced & weatherproof gear. The Granville Zip 16 is yet another fine example. This 16-liter daypack was created to carry a 15-inch laptop and daily essentials in a slim, urban profile. Made of a highly water resistant composite fabric called AC², the bag’s contents remain protected from rain and snow. The main compartment & exterior accessory pocket are accessed by water tight zippers and a padded sleeve secures your laptop. There’s also a stretch mesh zippered pocket for chargers and cables. 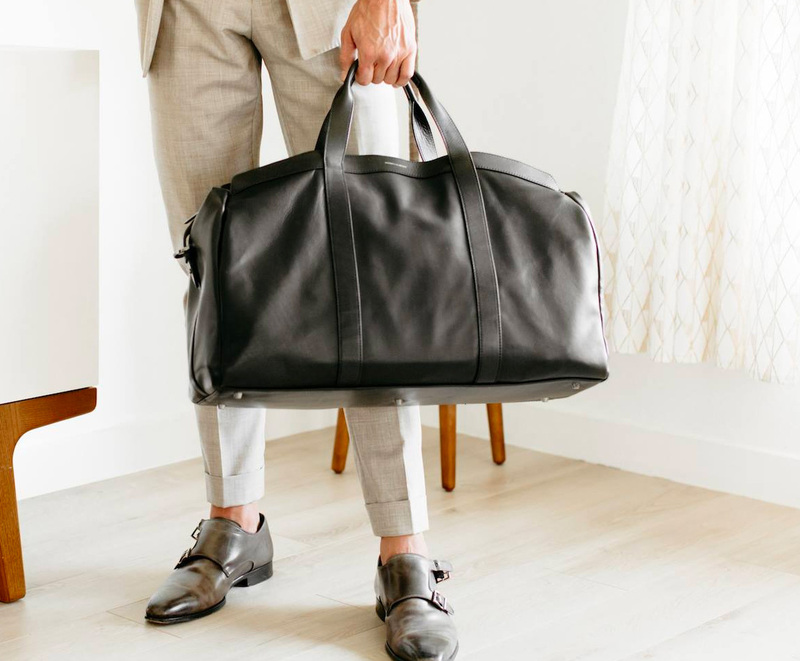 Designed for the sophisticated traveler—that being you—the Getaway Black Leather Duffel from Hook & Albert is a classic weekender made with premium top-grain shiraz leather, durable tonal hardware, and it features both handle carry, with reinforced leather handles plus an adjustable shoulder strap. The interior features 2 side compartments large enough for a laptop, headphones, tablet, and other necessities. 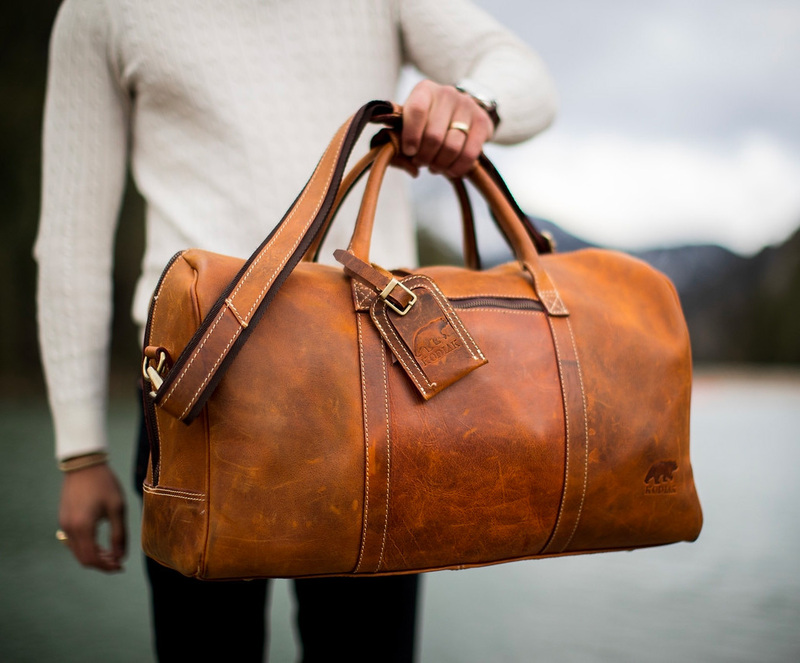 Handmade with vegetable-tanned Top Grain leather, the 30-liter Weekender Duffle from Kodiak is constructed to last a lifetime and the rich, heirloom-quality leather will improve with age and miles. It features brass hardware and the interior has one zip pocket, multiple card & pen holders, plus a phone pocket. The bag is also backed by a lifetime warranty. The hard-sided 4-wheel travel cases in the Bank Light Collection from Milan-Based luggage maker FPM bring the lightweight durability with 100% Markrolon polycarbonate construction, the security of an integrated TSA-approved lock and two maxi butterfly locks, 4 smooth-rolling 360º casters, and internal organizers. They’re available in sizes from 36-liters up to a 120-liter trunk-size suitcase. Handmade by Italian artisans and constructed from thick Italian felted wool with vegetable-tanned tan leather details, the Worldly Cabin suitcase from Hardgraft is a sharp, carry-on size rolling travel bag that features 3 zipped wool organizers inside and a zipped laptop & magazine pocket on the exterior as well as a telescoping handle and smooth-rolling skate wheels. 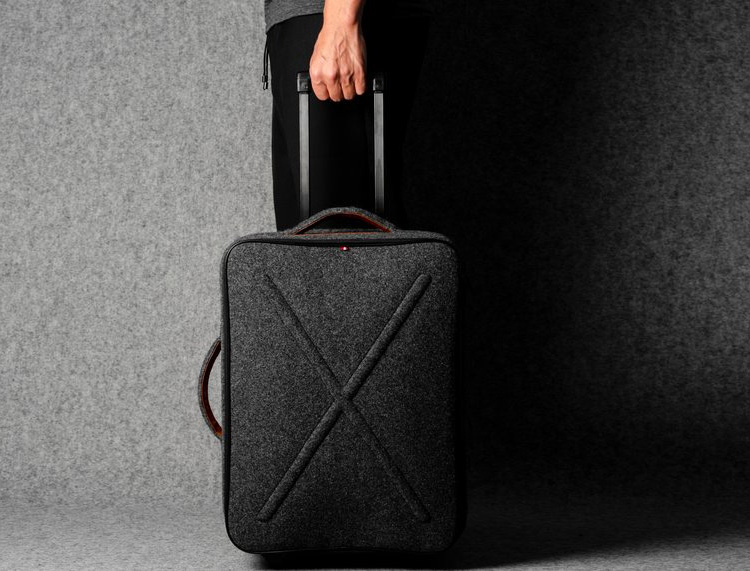 There’s plenty of “smart” luggage out there, but this is the first genius we’ve seen. 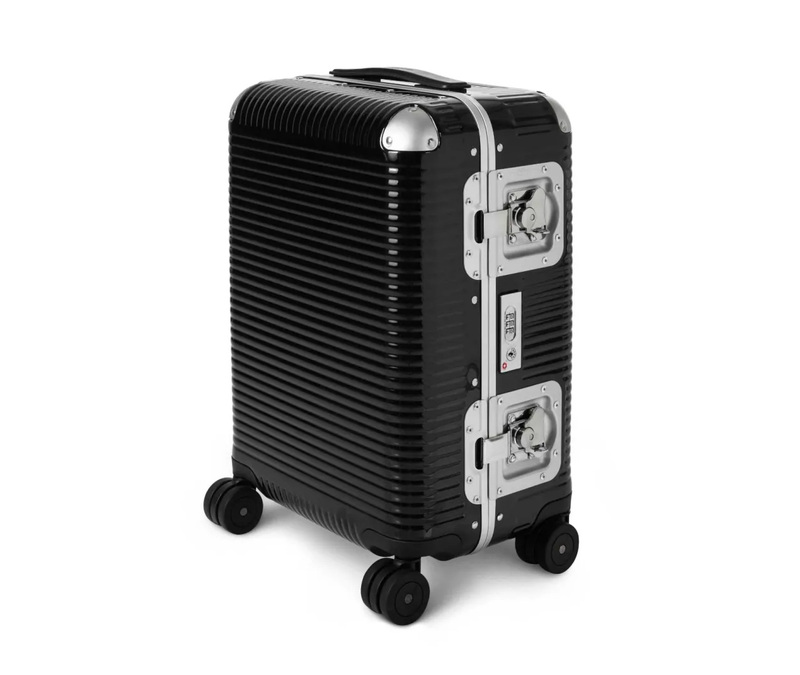 The Genius Supercharged is a premium & rugged 4-wheel rolling carry-on built with multiple organization compartments, 2 external USB ports and a TSA-approved, removable 10,000mAh battery. That’s enough juice to recharge your smartphone up to 4 times. For its 44-liter capacity, it’s also lightweight. A funded Kickstarter. 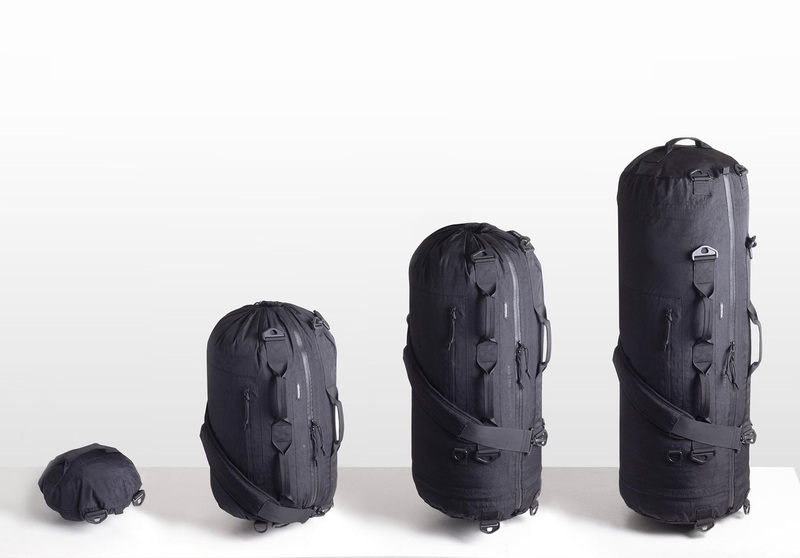 The 18-liter Veer travel & photography pack from Wandrd is designed to protect your gear with a cushion of air. It features inflatable, internal 360º protection for your camera & accessories as well as an inflatable back panel for more comfortable transport. The bag design gives you both side access & top access, it has an expandable water bottle pocket, and the shoulder straps are made of breathable AirMesh. A funded Kickstarter. 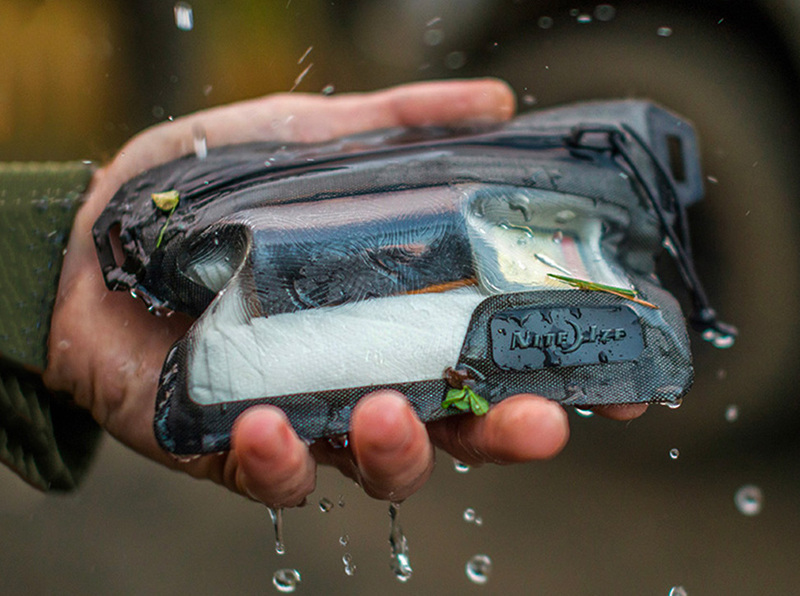 If complete waterproof protection is what you need, the gear gurus at Nite Ize have a bag for you.Their line of storage pouches, packing cubes, and other travel accessory bags feature dustproof and waterproof construction rated to IP67, which means they can withstand immersion in water 3-feet deep for up to 30 minutes. They’re also equipped with the brand’s own TRU Zip waterproof zippers that work just as hard to keep out the elements. 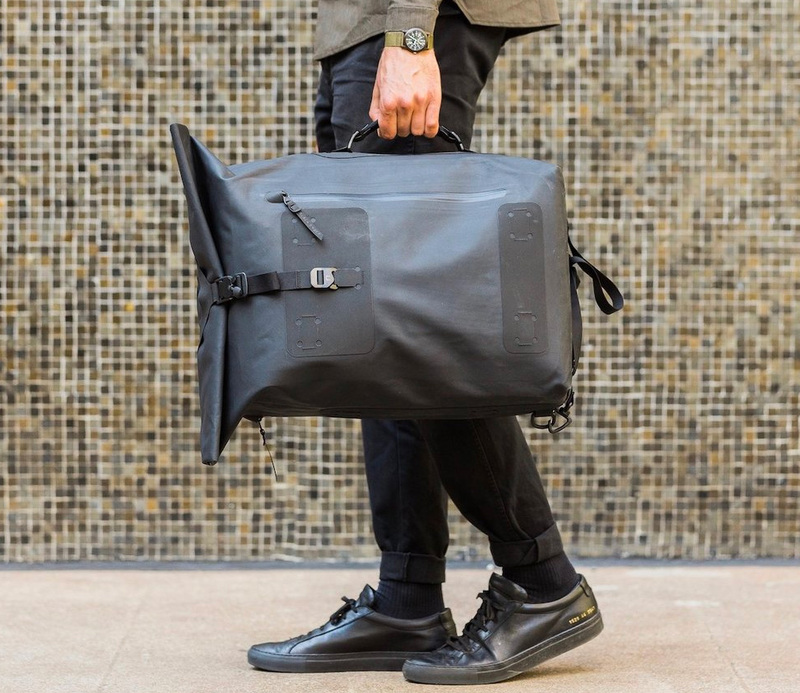 To say the adjustable A10 duffle from Piorama is versatile would be a serious understatement. This bag can instantly expand or contract to fit exactly what you need, so you can stick with one bag for all kinds of cargo. 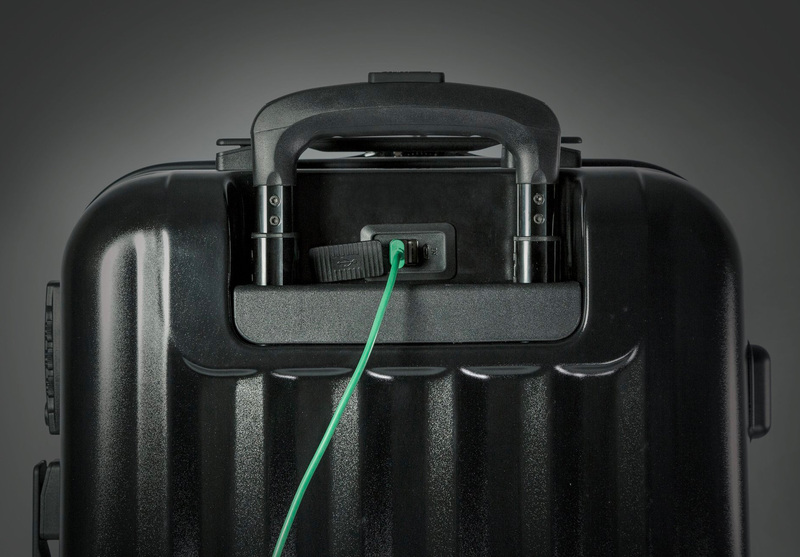 Depending on your payload you can quickly transition between 31L, 46.5L, and a 62L capacity, for use as a day, weekend, or travel bag all in one. It can also be carried with the adjustable shoulder strap, backpack straps, or the duffle handles. Protecting your small accessories and high-tech baubles is not a job to be taken lightly. Peak Design is a brand that agrees. 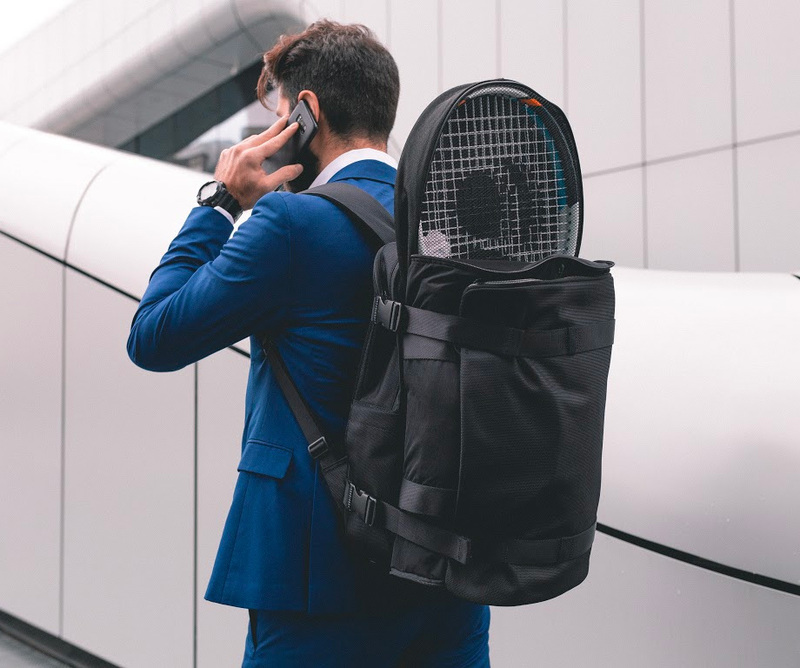 Their Tech Pouch is designed to protect and store your tech accessories while you’re on the go, making it an indispensable travel tool to keep the inside of your backpack from turning into a tangled mess of cords. The accordion opening makes everything easy to access, and a padded, weatherproof exterior keeps it all safe and sound. Available in Black or Sage. 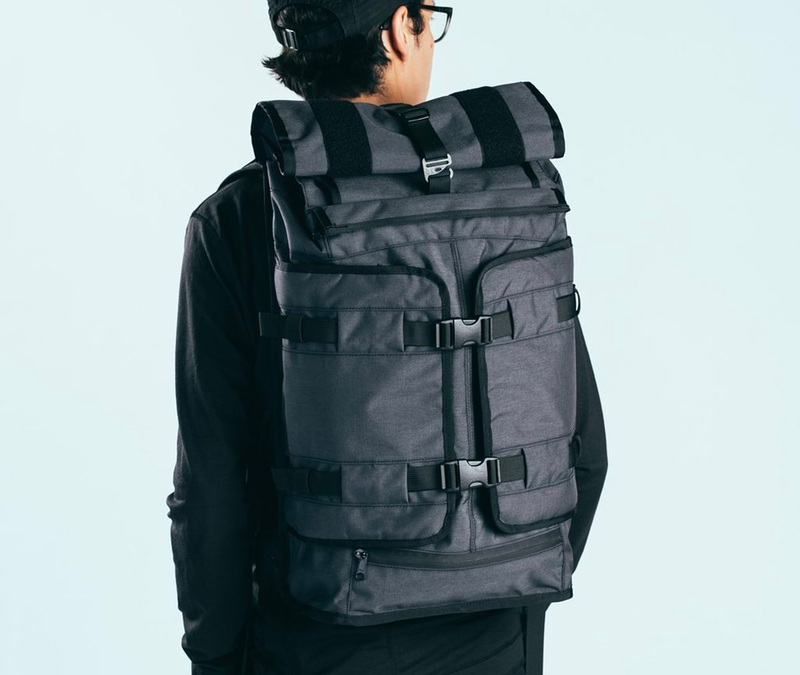 With a molded internal shell that helps it keep its unique shape, plus a clean, minimalist design, RYU’s 24-liter Locker Pack Lux is a daily, do-it-all companion. It’s got premium materials & details like DWR coated canvas & leather straps plus the design allows easy access to all compartments from the outside. Inside, there’s a separate 15” laptop pocket plus additional zippered pockets all over. Mission Workshop’s best-selling pack, the Rhake, a weatherproof laptop pack, just got a tactical upgrade. The new Rhake VX features construction with VX-21 diamond ripstop fabric, one of the most advanced textiles in the world with virtually unmatched abrasion, tear, and weather resistance per gram weight. This roll-top 22-liter pack is also equipped with Fidlock buckles, and like all MW gear, it is handmade in the USA. These bags from ZeroPoint are small. Possibly the smallest “micro-bags” in the world. They pack down to a size that’s roughly the diameter of a quarter & about an inch thick. Once unfurled, they expand to 12 X 16 or 8.6 X 12-inch sizes and are strong enough to carry your laptop or a load of items from the supermarket. A funded Kickstarter. 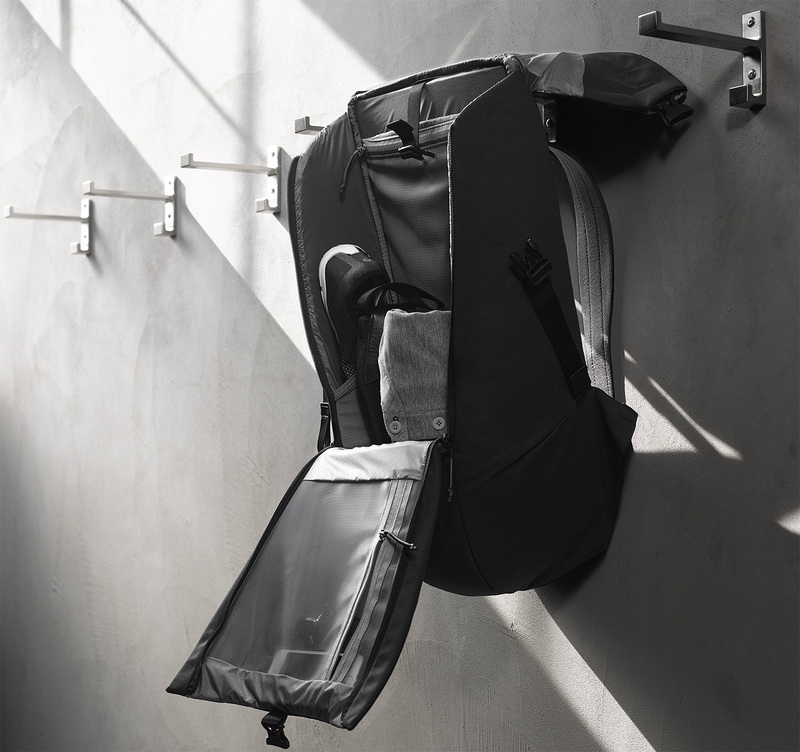 Designed in Italy, the Banale Backpack sets itself apart with a design that allows you to expand it when you need to carry more & compresses down when you’re carrying less. The pack’s “Wrapping Pocket” also gives you the ability to carry odd shaped items like a basketball, helmet or parcels for shipping. A funded Kickstarter. 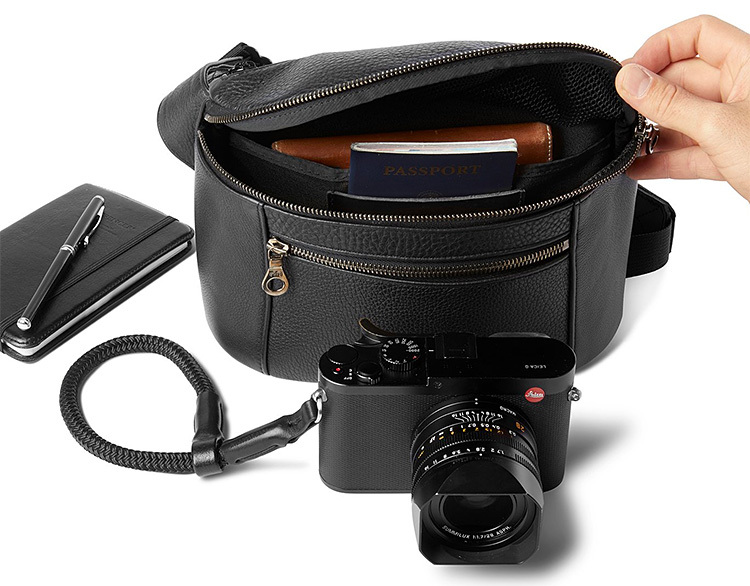 Designed to carry your compact camera & one lens, the cross-body Camera Pack from L.A.-based Killspencer is constructed of premium black full-grain leather. It features Swiss-made Riri zippers, a cordura and mesh padded interior and multiple pockets for photo accessories & personal items. The nylon waist/shoulder strap is adjustable. Made in the USA. 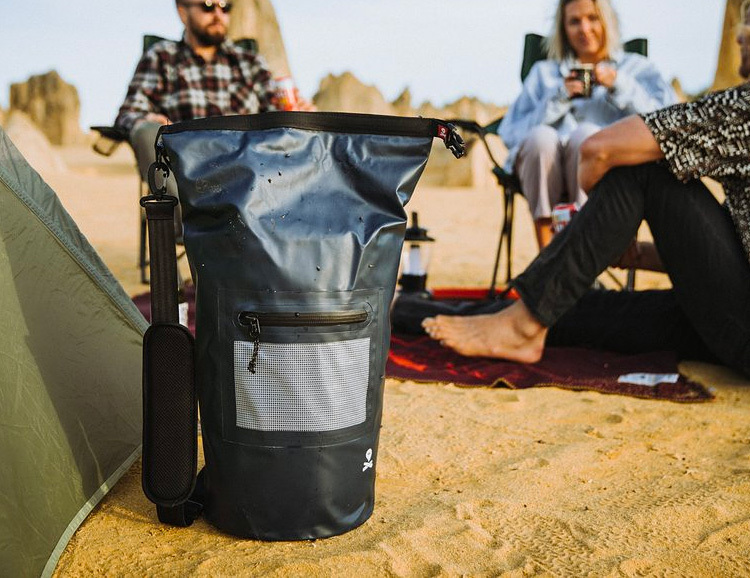 With waterproof, rip-stop tarpaulin construction and an insulated interior, the Undercover Cool Bag from Ghost Outdoors merges the tech features of a dry bag with the convenience of a day pack that will keep 18 cans (or 14 beer bottles) cold for up to 48 hours. It’s hard to imagine 18 beers lasting that long but, okay. 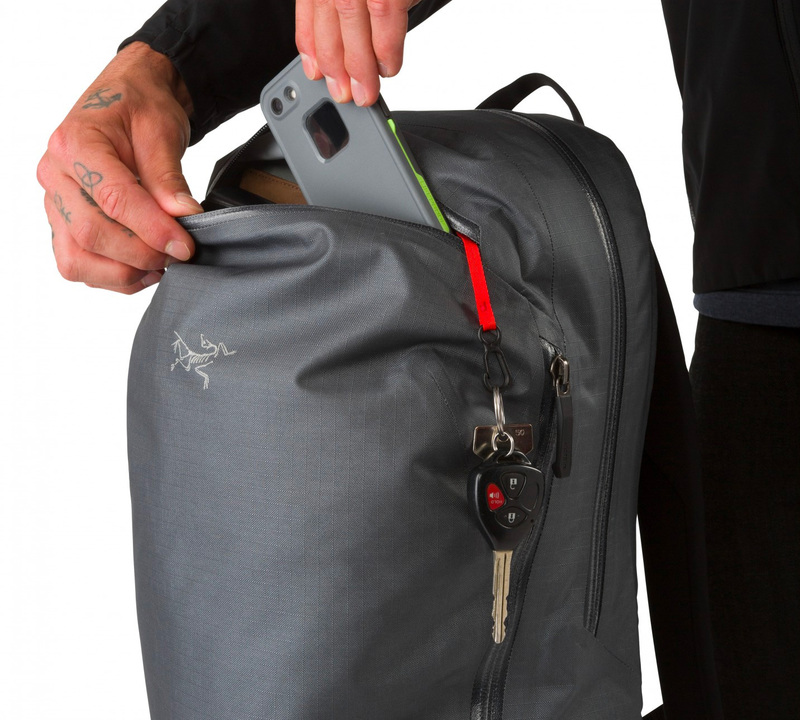 The bag also features a waterproof front pocket for your valuables & an attached bottle opener. Made with vegetable tanned Swedish leather, the Friija Collection from San Francisco’s Mission Workshop combines the brand’s clean modern aesthetic with the timeless style & durability of real leather. 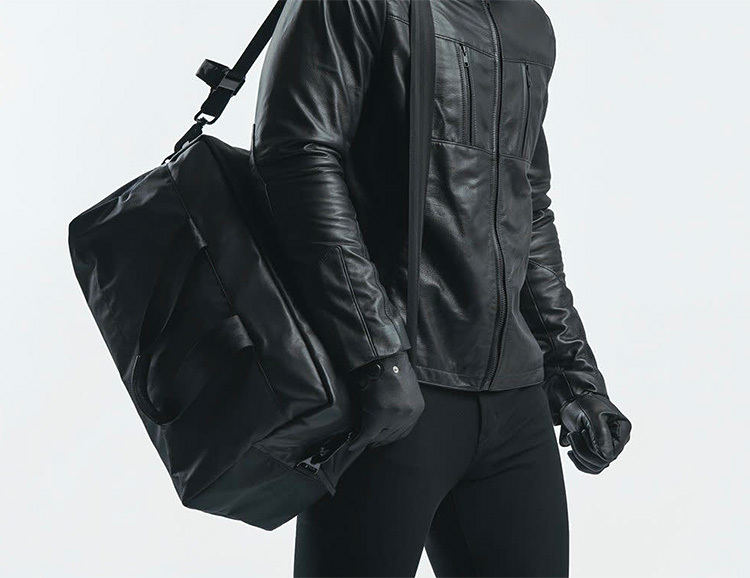 The collection includes the Ren Kero Leather Jacket, the 26-liter Okta duffle, and Varis Kero leather gloves. Available for pre-sale now.